Duck eating a FishWe live on a small lake and have watched a mother mallard raise a family of five ducklings this summer. 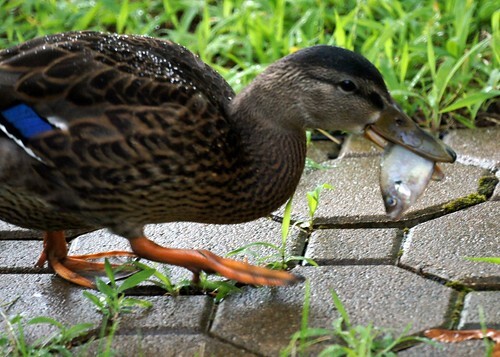 Today, one of the ducklings brought a fish into the yard and tried to eat it. Who knew that ducks ate fish?